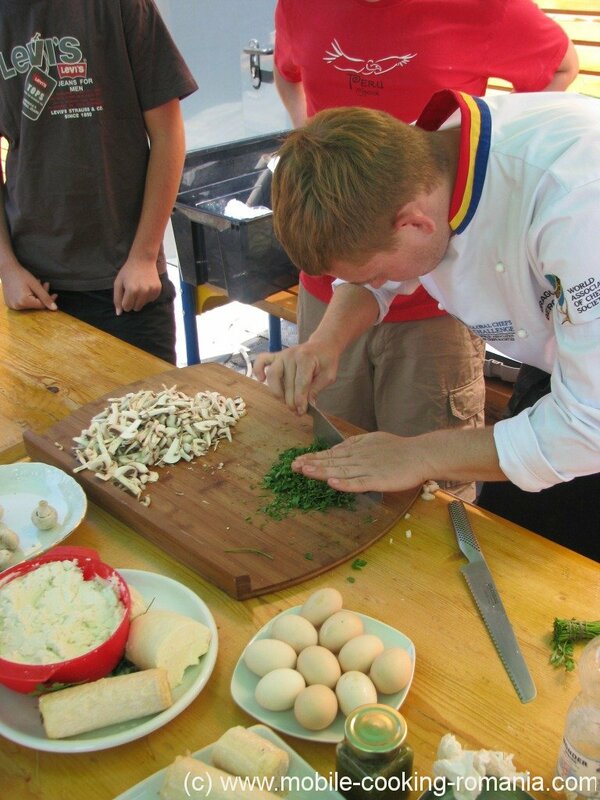 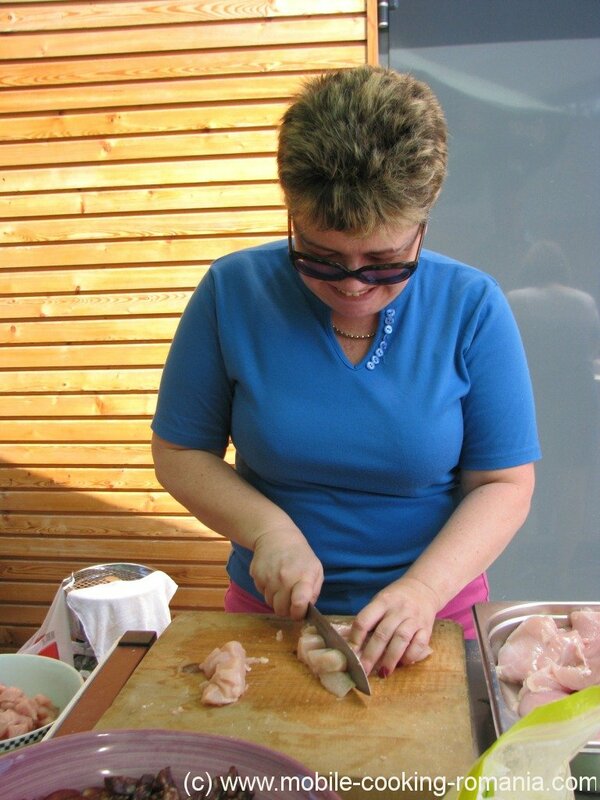 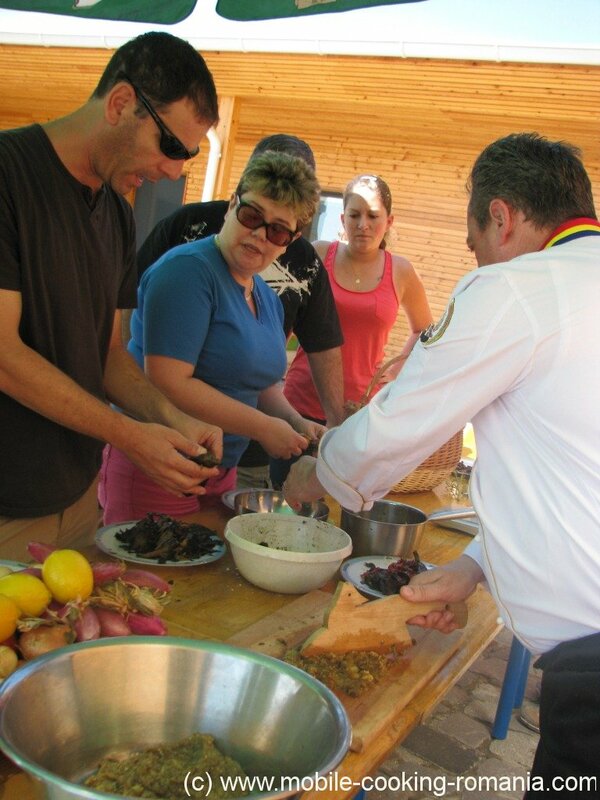 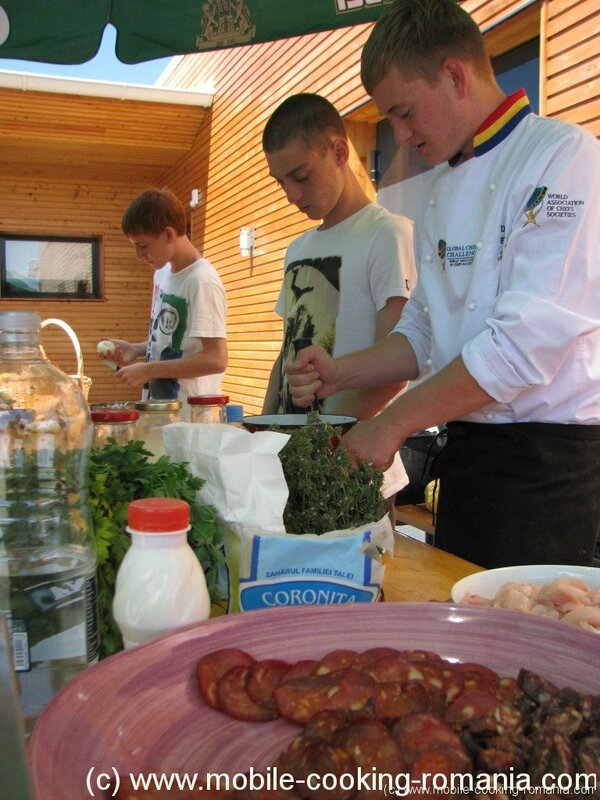 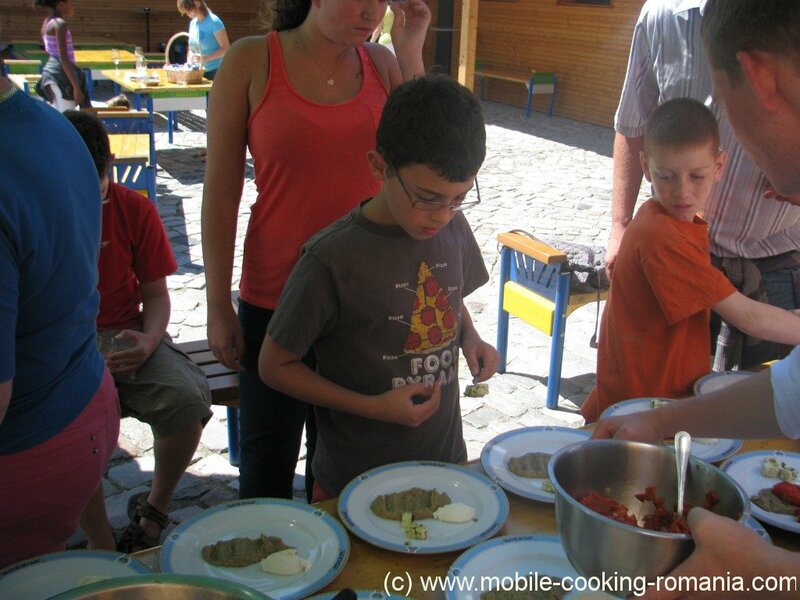 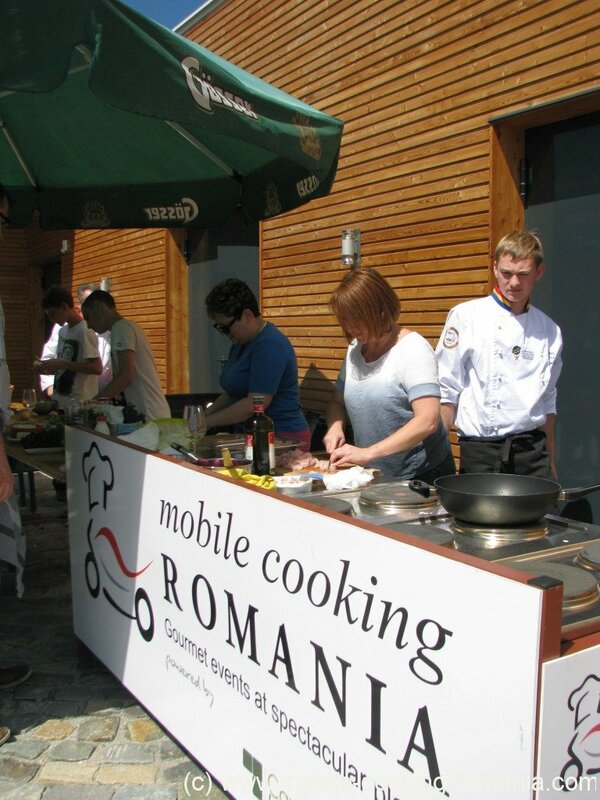 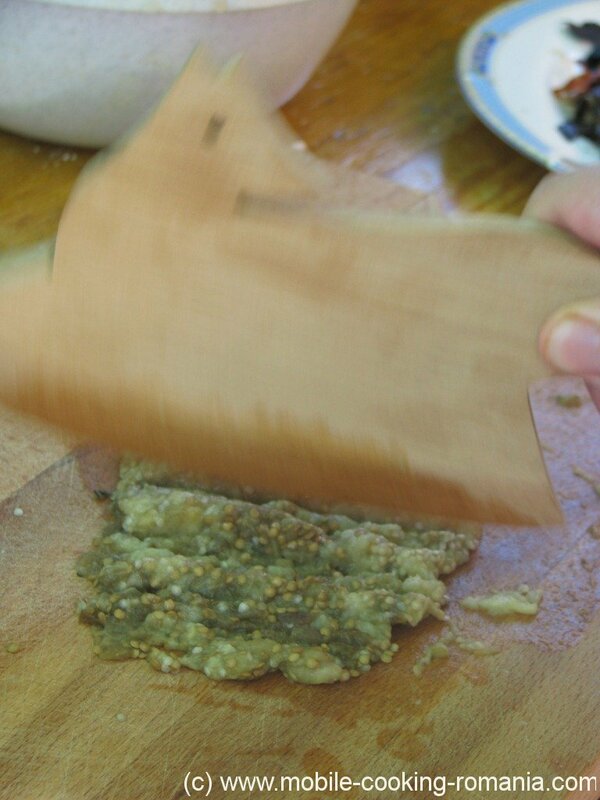 Mobile Cooking Romania organised a cooking class for a group of 16 Israelian tourists who wanted to learn more about modern Romanian cuisine . 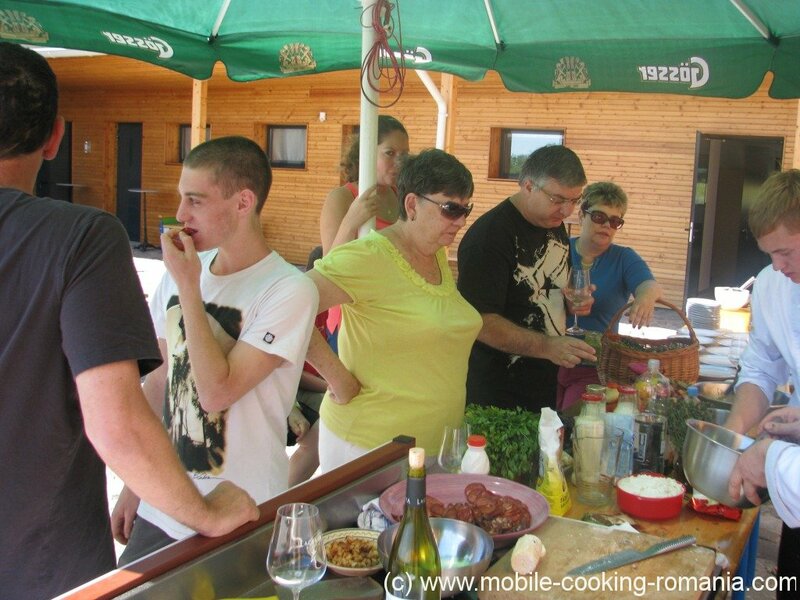 The Israelian tourists – participating to a tour in Transylvania and Bucharest - made a stop over in Buzau to visit the Muddy Volcanoes and the Dealu Mare wine area. 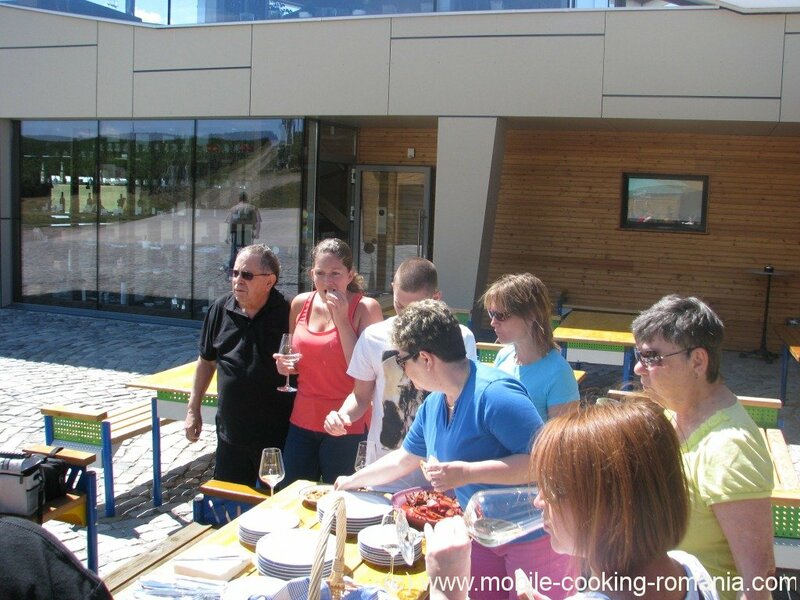 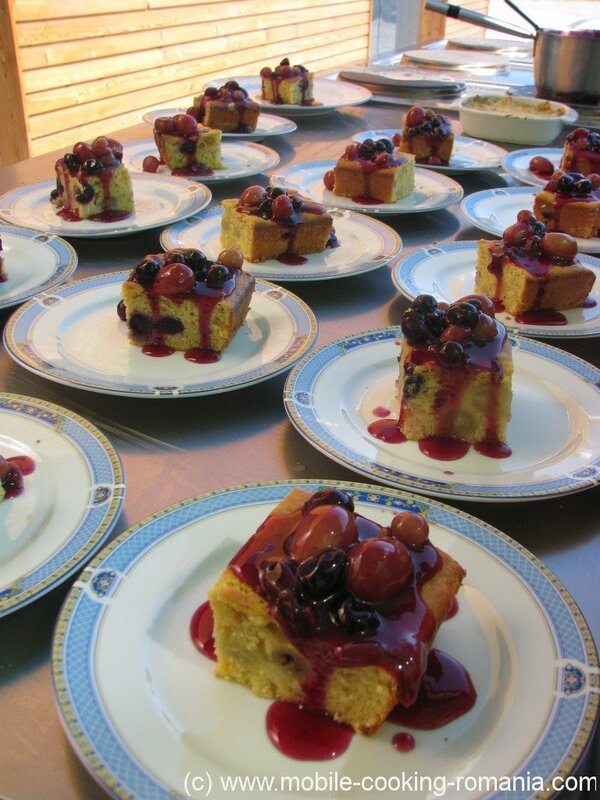 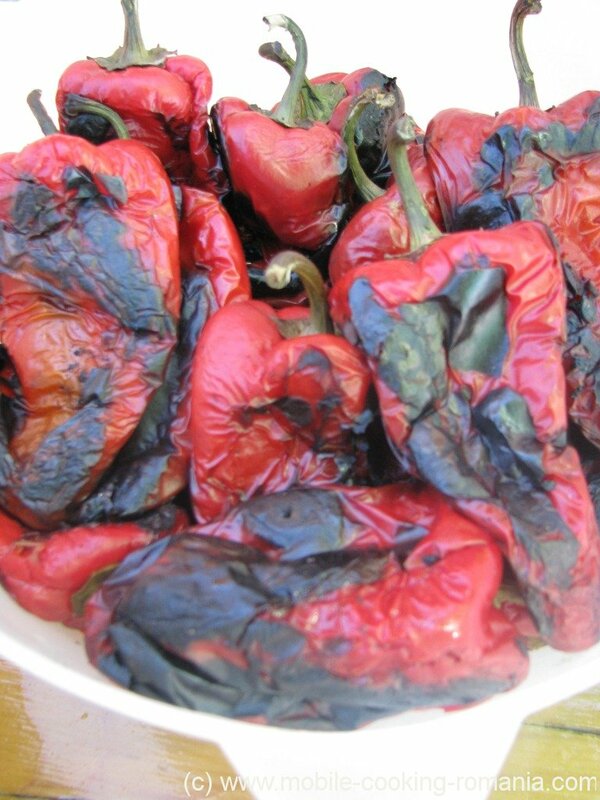 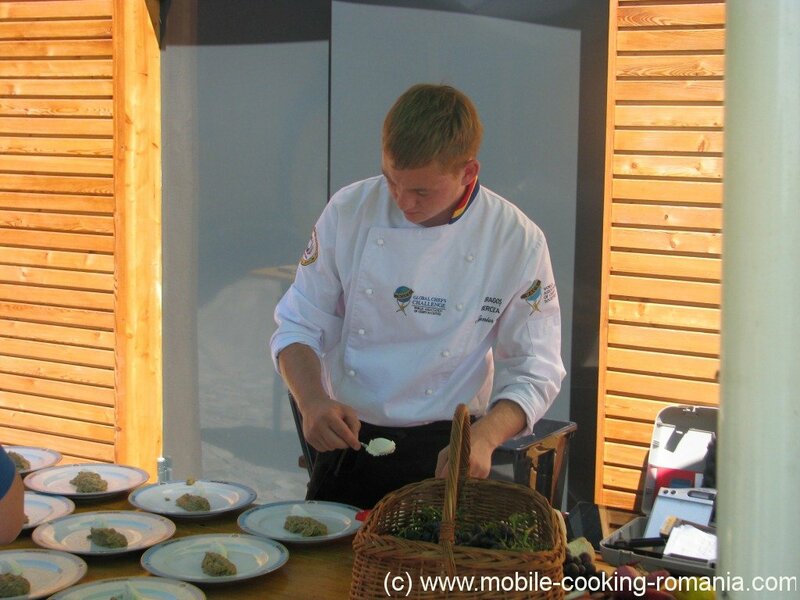 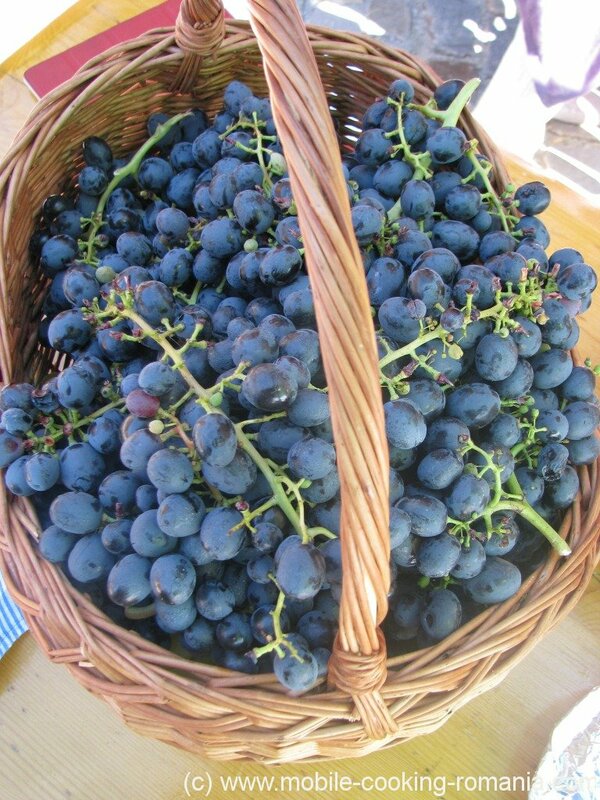 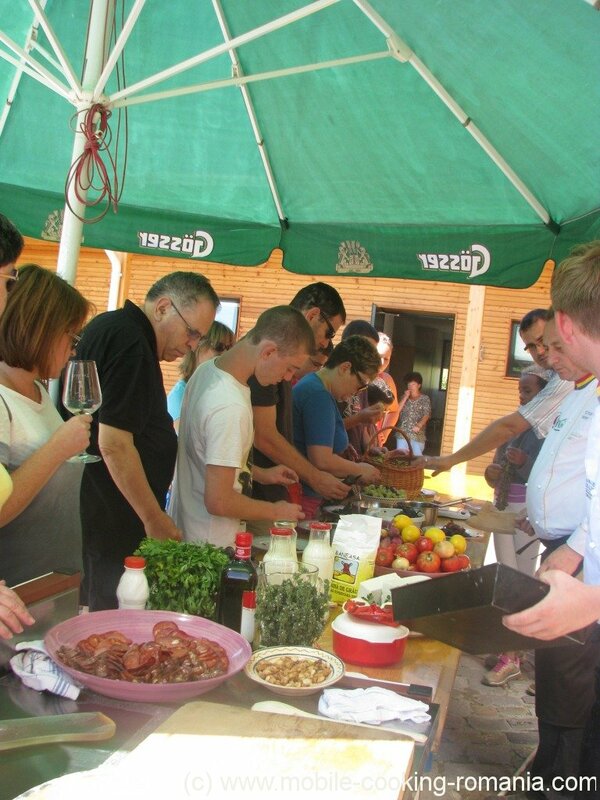 The outdoor event took place at LacertA Winery on our mobile kitchen. 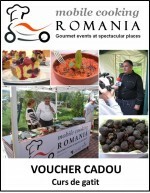 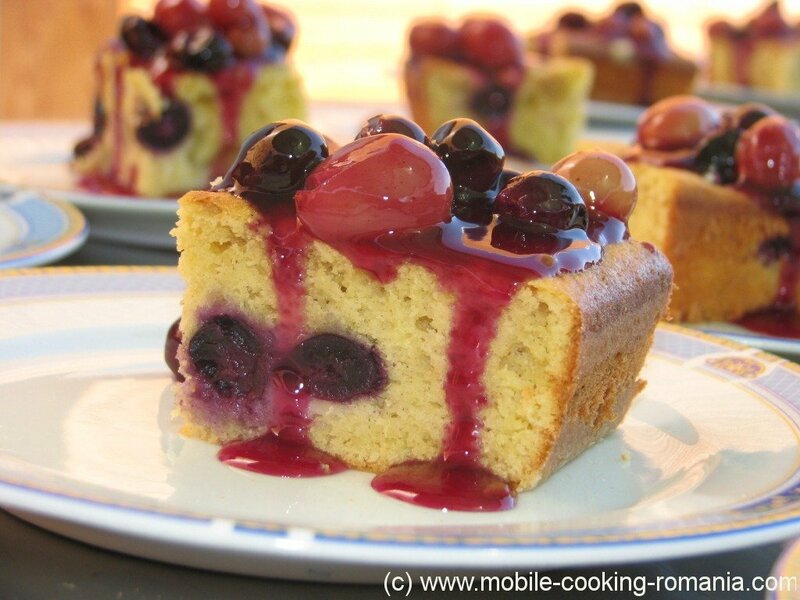 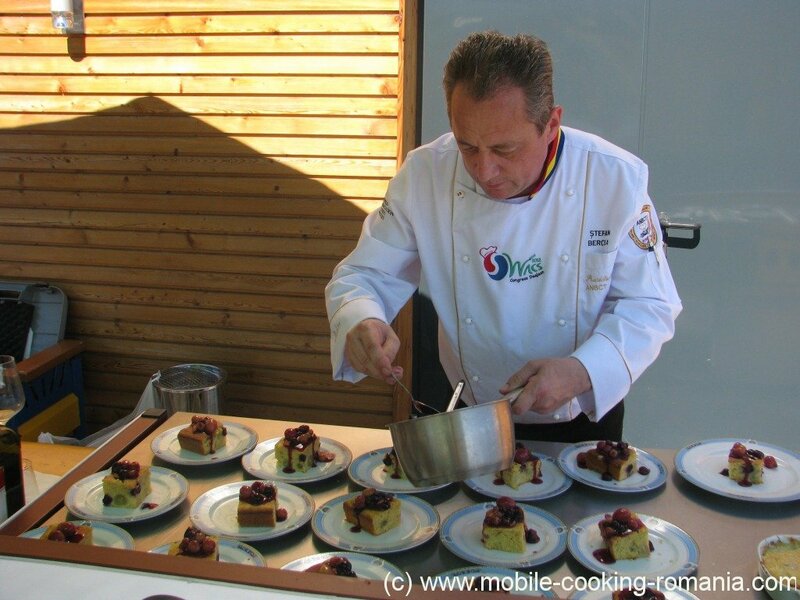 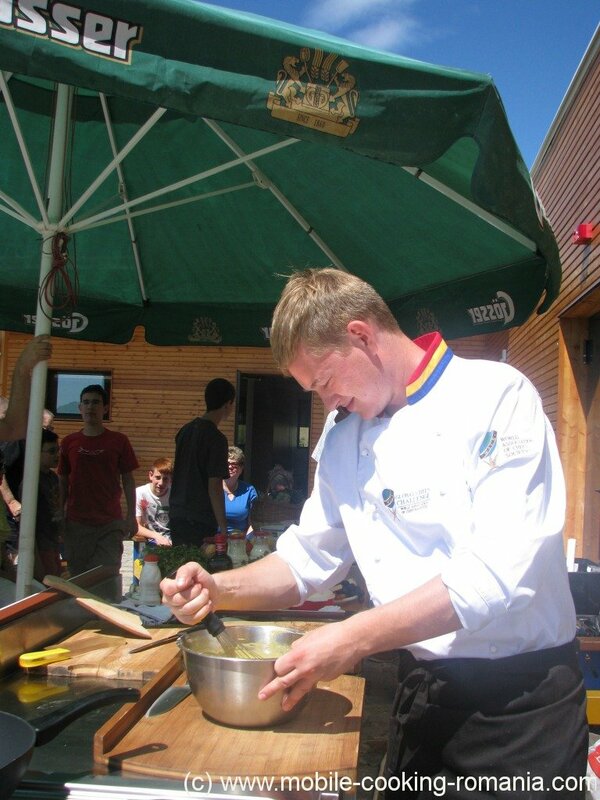 The cuisine chefs, Bercea Stefan – president of the Romanian cuisine chefs association- and his son Dragos presented traditional Romanian dishes with a modern touch.